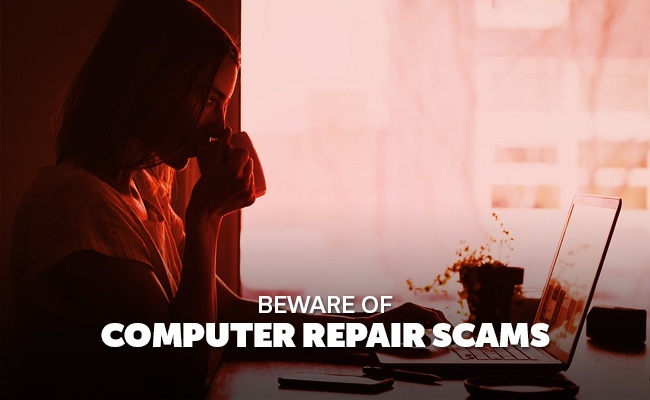 A number of stories have been in the news lately regarding individuals and businesses receiving calls from people who claim to be computer repair personnel. People are told by these callers that their computer's virus protection is out of date and that -- for a fee -- it can be remotely renewed. Even if the offer is declined, sometimes access is provided remotely to the computer. Remote access is a major computer security issue as, once a scammer has access to a personal or business computer, data on that computer can also be accessed. Think of the personal data you have on your computer: logins, passwords, bank account information. If you're a business dealing with customers, think of the data you have on your computer for them: credit card information, names, addresses. Not only is this information up for grabs when you allow someone remote access, but they can actually do other things that cost you time and money as well, including installing viruses on your machine. Businesses have the responsibility to protect the information of their customers. One option for businesses looking to ensure the security of the data on their computers is managed IT services. If you have an IT provider monitoring your network for problems, you're immune to computer scams, and protected against viruses, malware and other issues, as well. 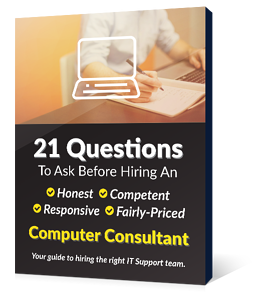 You'd have full support, in addition to preventative maintenance, virus and patch management, flat rate guaranteed billing, and even management of your mobile devices. For more information on obtaining managed IT services from EnvisionIT Solutions, contact us.